1. 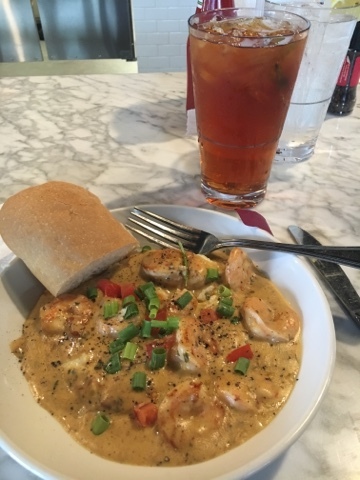 Shrimp and grits in ham cream gravy at Steamer's Seafood if you're ever in BG or in Hiltonhead, SC - it's delish! 2. 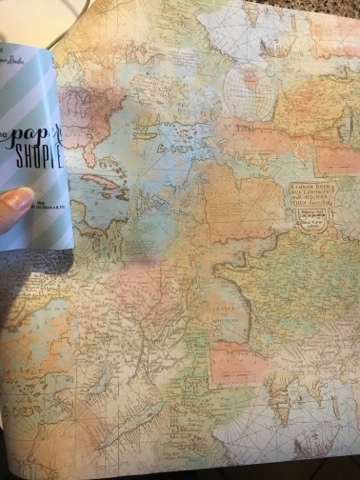 Map paper at Hobby Lobby in the scrapbooking paper aisle - wrap with it, frame it, scrapbook with it, etc. 5. This is the best snack at Target! I love to snack on nuts during my down time at school. They give me energy and fill me up quickly. They're a bit pricey but totally worth it. Give it a try! 6. 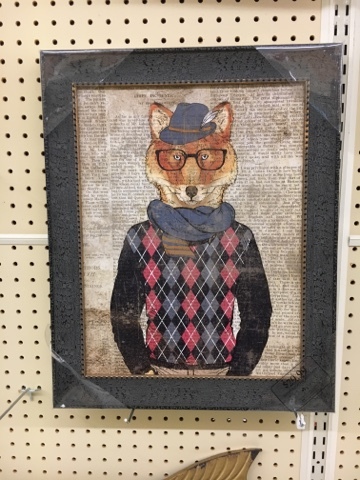 Here's another clearance find from Michael's - less than $2 for each one. I can't wait to paint or decoupage them or something. 7. Best writing pens for classroom or office? Yep, these right here are pretty fabulous. The green is my least favorite because the color doesn't stay as rich as I'd like, but the others are wonderful. 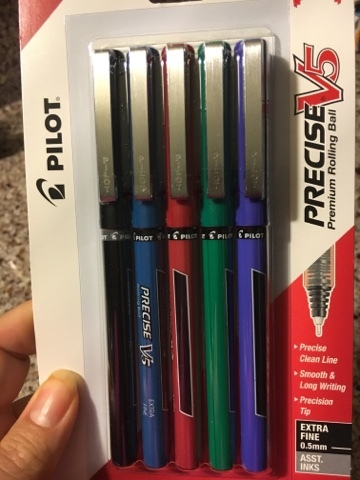 I'll track a kid down for hours if he takes one of these pens. If you still make lists and write regularly for enjoyment, you should try these oldies but goodies. There's my current roundup of recommended items; I hope you find a little something new on this list to give a try. Let me know if you find an item that you love too! I'd go for a weiner dog print like that too - we're dogsitting for the weekend, reminding me how cute doxies are! Wow many of these are my faves too. 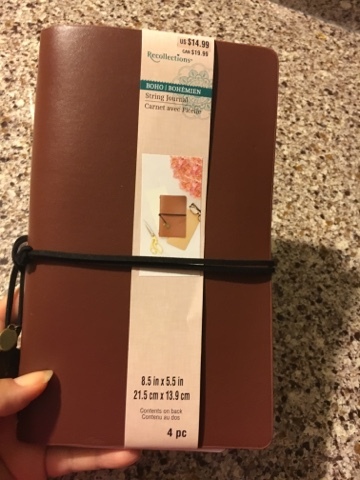 After the Scrap Gals podcast on travelers notebooks I decided to give it a try and picked up one of the clearance ones at Michael's to start. Mine is peacock color and I love it! I have a bag of the Target Chocolate Almonds in my desk right now. 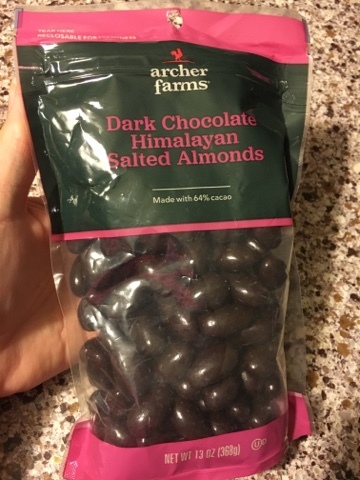 I think they are the best chocolate almonds and I agree the price is high for snack foods but reasonable compared to other almonds. I also love the pens. I have used them since high school. Great list! 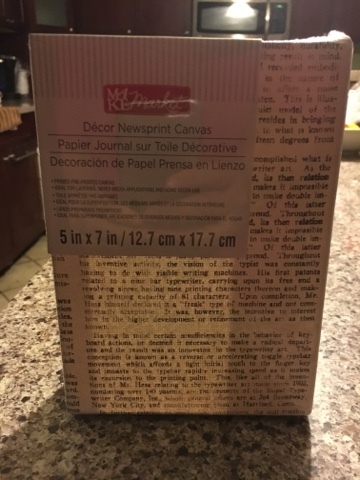 I too was inspired by the Scrap Gals podcast on Travelers Notebook...bought 2 at Michaels and have yet to do anything with them. lol!